The CAPRA score — which stands for “Cancer of the Prostate Risk Assessment” score — was developed at the University of San Francisco as a method to assess risk of prostate cancer progression based on risk for metastases or prostate cancer-specific mortality. The urologist did a 12-core biopsy and found a small amount of Gleason 3 + 4 = 7 cancer in one of two cores that were positive. The other positive core was Gleason 3 + 3 = 6. Both positive cores were in the lower, right-hand section of the right lobe of the prostate. So what is Jim’s CAPRA score? His highest pre-positive biopsy PSA was 3.1, which scores 0 CAPRA points. 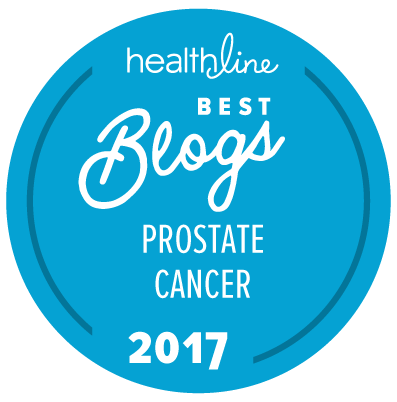 According to a paper by May et al., this would suggest that 3 or 5 years after a radical prostatectomy, Jim’s risk of having a recurrence of his cancer would be between 6 and 8 percent. The original paper by Cooperberg and his colleagues was slightly less optimistic, giving a 5-year rate of biochemical recurrence-free survival of only 86 percent even for patients with CAPRA scores of 0 to 1. However, the way that Cooperberg and his colleagues are now using CAPRA scores at the University of California San Francisco Medical Center is as a method to monitor patients on active surveillance. Patients with a low, stable CAPRA score would seem to be good candidates to be maintained on active surveillance for long periods of time. By contrast, a man with a rising CAPRA score might be a better candidate for treatment. I had not seen this previously, and it is certainly interesting, but given the uncertainties of diagnosis, it can only be a rough and ready guide. For example, although my initial PSA was 7.2 (1 point) it dropped back below 6.0 shortly after my biopsy (0). I had three opinions on my biopsy result: 3 were GS 6 or less; one was GS 7 — how many points there? The diagnosing urologist gave a clinical stage of T2b, but none of the other DRE examinations produced anything but a negative DRE — should I have been staged as T1c? Some pretty big variances there.